It’s time to paint the town with beautiful colors! 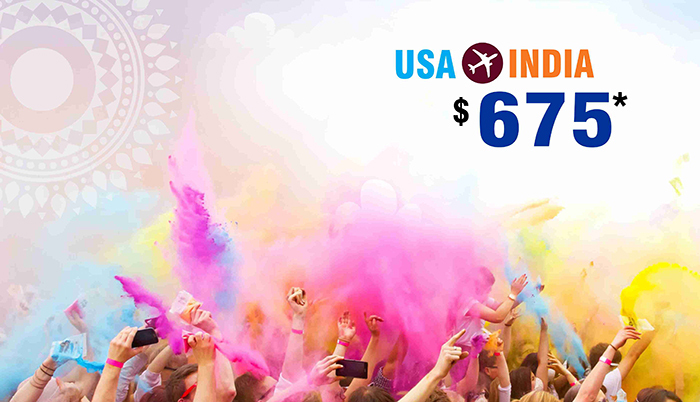 $675*, all you need from USA to book a ROUND TRIP to celebrate HOLI in INDIA. Your seat is waiting for you! Book flight ticket with flydealfare till 31st March 2019. Hurry up! Offer is on limited seats.